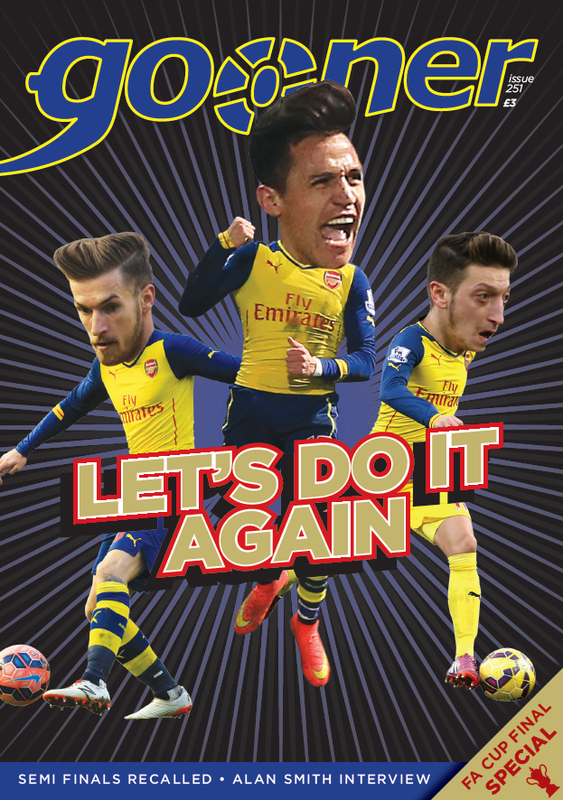 Issue 235 of The Gooner from April 2013 is a bumper 64 page edition which provides plenty of reading material for the close season. 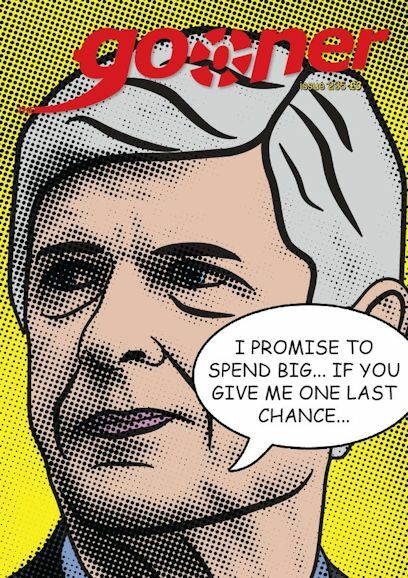 Our Ray Lichtenstein inspired cover artwork reflects the hopes of many Gooners that Arsene Wenger will splash the money in the summer to improve the squad and give us realistic hopes of competing for the title next season. However, it should be remembered that not all big and exciting signings work out though and Peter Le Beau’s article reminds us of some players who arrived with a fanfare, but didn’t go on to achieve the anticipated successes their signings promised, as well as those who delivered the goods. When Sean Marland asked fans of Stan Kroenke’s other sports enterprises what they thought of their owner, he discovered that Arsenal are not the first club Stan has shaken down on his road to riches. 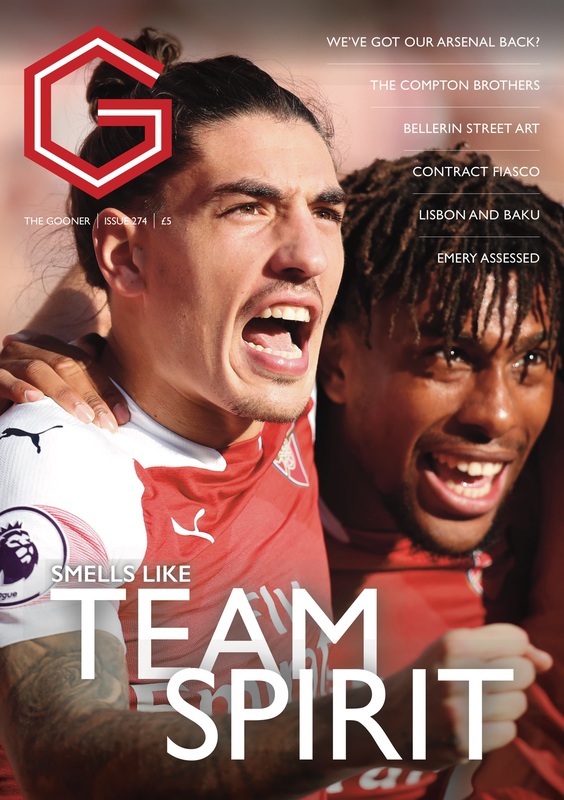 Their responses make for a fascinating insight into what we may have in store as long as the American remains the majority shareholder of the Gunners. There’s an article by Simon Rose explaining why he thinks Arsenal might have something to fear from West Ham now they are inheriting a massive new stadium without any of the financial burden we have had to carry for the last decade as a result of our move to the Grove. 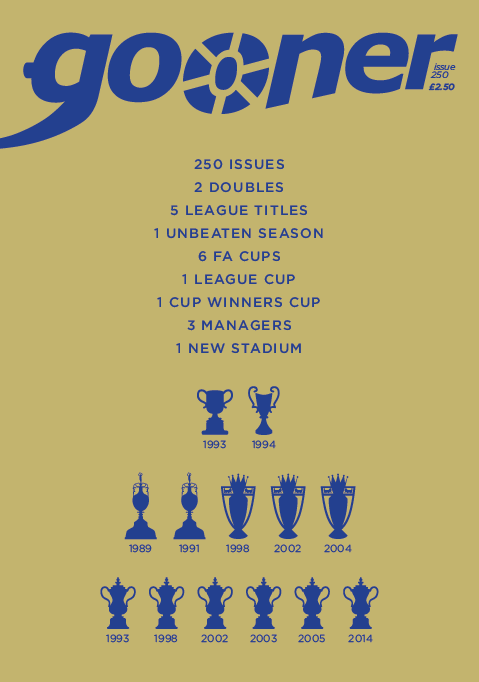 If you like to reminisce, then we’ve got that covered as well as Layth Yousif casts a wistful look back at his youth and takes great pleasure in the successes of an age long gone and a season when we won a trophy after an eight year drought. 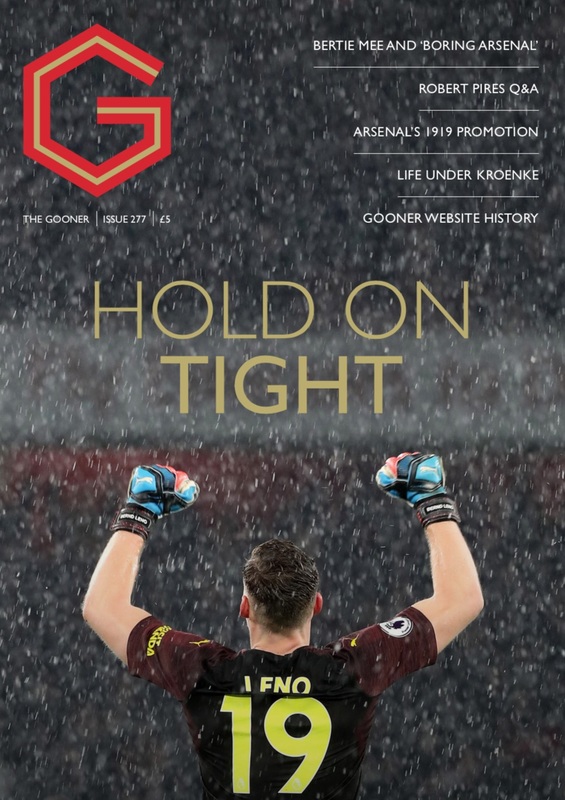 Also in the issue, we have a piece on ten goals which made you hug a stranger, Charlie Ashmore continues his series about stadiums in the pre-Taylor era with Loftus Road and St James’s Park, and we have a chat with film-maker Daniel Atkinson about his soon to be released documentary on Arsenal’s overseas supporters. Plus much more besides and all the regulars including the Highbury Spy, Mickey Cannon, Anger Management, Inbox and match reports. 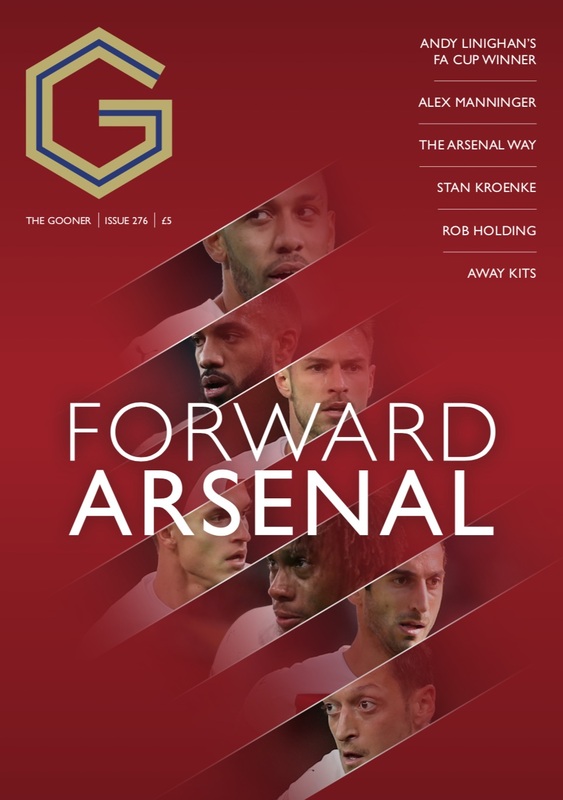 In other words, plenty to keep you occupied until the next issue which will be out for the pre-season Emirates Cup tournament.